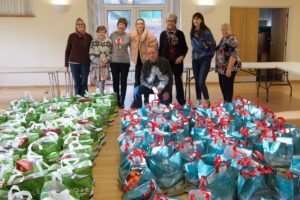 For the 16th consecutive year Henley Lions have procured, packed and delivered a number of Christmas Food Parcels to some of the needy families and individuals within our area. 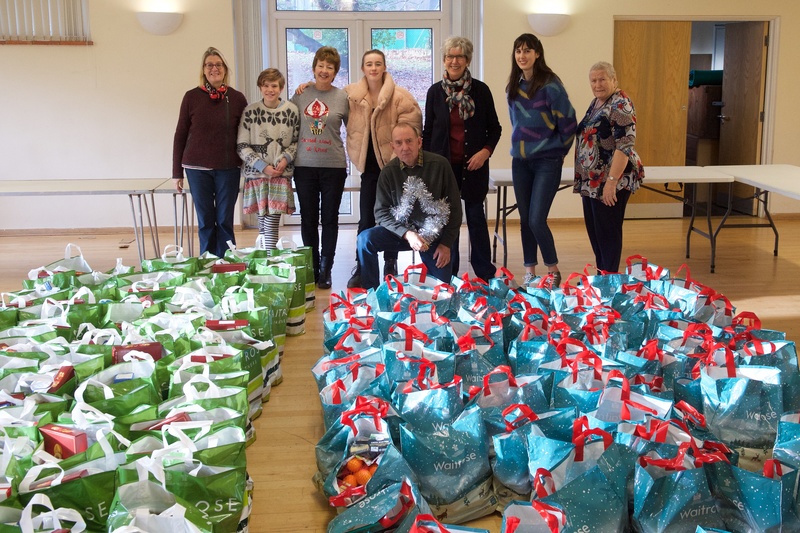 This year we packed 86 parcels each containing a mix of staples and a few Christmas ‘extras’. 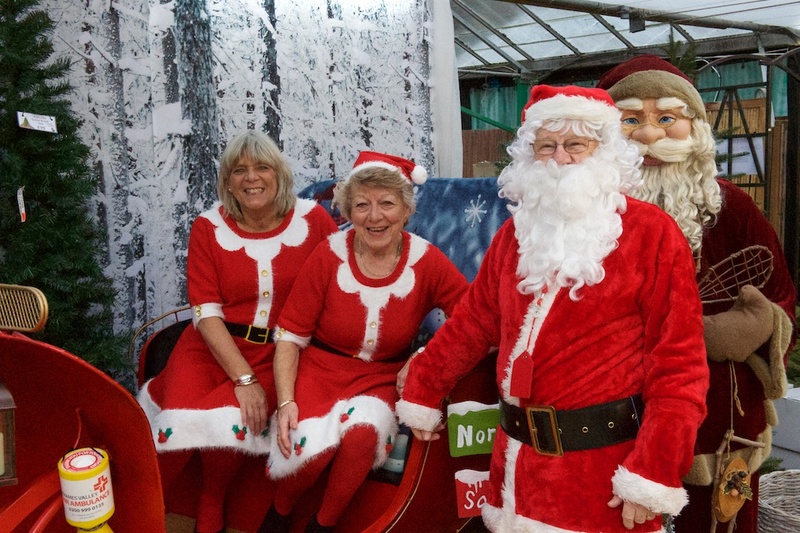 Before taking on the entire task of procurement, packing and delivery we delivered parcels which were organised by the now defunct Henley Community Services Committee. Henley Lions would like to thank the clubs, individuals and organisations who helped make this all possible. 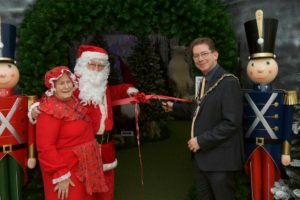 Santa arrived at Toad Hall this morning and assisted the mayor of Henley, Cllr Glen Lambert, in opening the fabulous grotto. 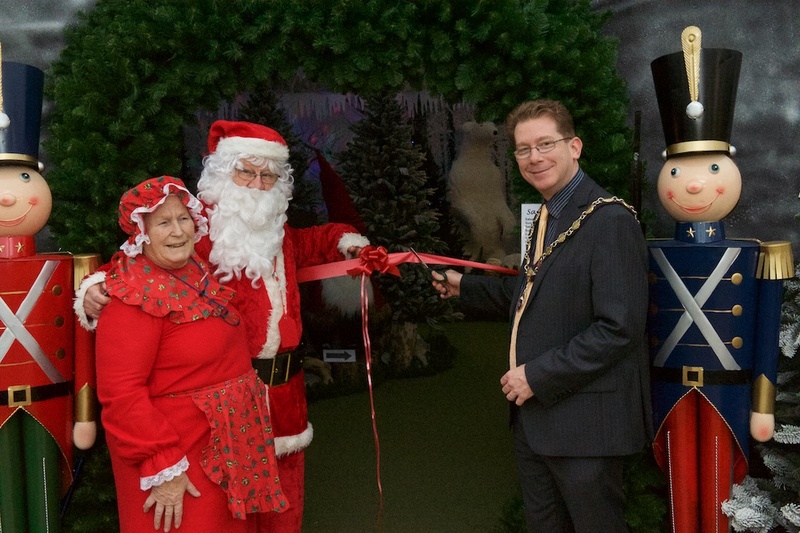 Santa will be in his grotto each Saturday and Sunday from now until Christmas. 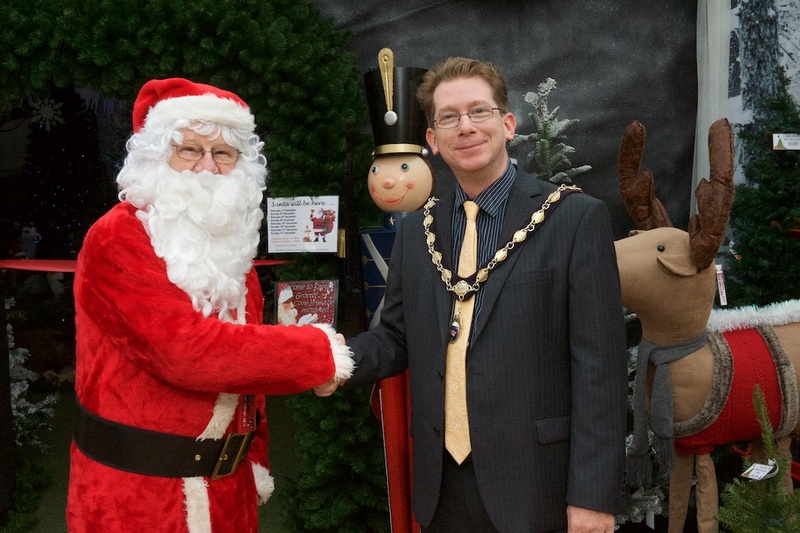 On Saturdays he’ll be there to see the children from 10:00am until 5:00pm and on Sundays from 10:30am until 4:00pm. Tickets to see Santa are available at the Toad Hall tills. 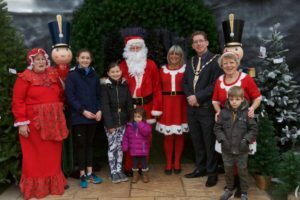 They cost £6.00 per child and every child gets to choose a present from Santa’s magic toy box. 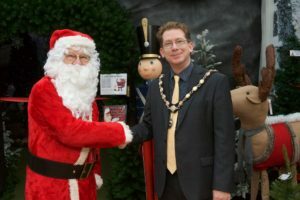 Half of all the money raised goes to the Henley Lions Club who use it to support local children’s charities.